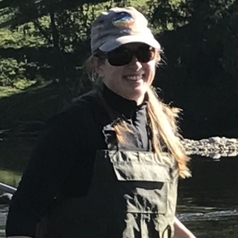 Lindsey Frost (BEnvSc) is a current higher degree research student with the Aquatic Ecology and Restoration Research Group at the University of New England, Armidale. Lindsey's research interests lie in understanding ecosystem processes in freshwater ecosystems and how this science can inform management. Her current project focusses on the effects of environmental watering on trophic dynamics in a wetland environment. Lindsey is also a Technical Officer working with the School of Environmental and Rural Science at UNE and loves fostering a passion for science in the students she meets through her day job.